Today the shades that I worked in are Gonzo, Chaos, Freak, and Thrash. Thrash is such a vivid yellow-ish shade with a hint of green- it has a super fine shimmer to it, but it looks rather matte after application. Freak is a minty, shimmery green. I just barely snuck these blues into the look- but I used Chaos, a really true blue, and Gonzo, a bright/lighter blue. I started out with a couple of basic cream bases. I used a black shadow stick all over my lid and on my lower waterline (FYI- the Mally matte black shadow stick always seems to last me ALL DAY in the waterline!) And then I used a matte white shadow stick to encircle my tear duct area and a little upward flick on the outer corner. Then I patted a matte black eyeshadow all over my lid, and blended it up into the crease with a slight outer-V shape. I also smudged it on my lower lashline. Now for some color pops! With the small end of the brush that comes with the Electric Palette, I patted Thrash around my inner corner. I also used that same brush with Freak on the outside, creating a little border to the look. With a very small blending brush (Sigma E36), I use Chaos just above my crease, on the outer part. It shows up in a very subtle way, but I like it. Then on the inner above-crease area, I used the lighter blue- Gonzo. I wanted these blues to just come off like a light haze that fades out from the black. To finish the look, I used a matte cream highlight color under the brow, a thin line of black liquid liner on my upper lashline, and mascara on my top and bottom lashes. I also applied some false lashes that I thought nicely framed this eye look. I'm enjoying the fact that this look has some different "levels" of color. 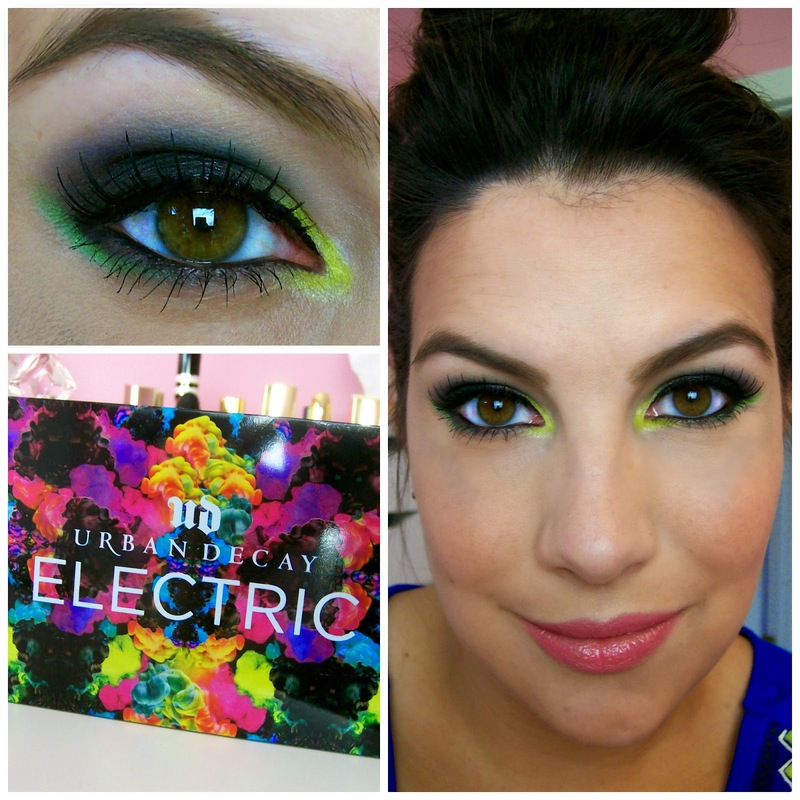 With this palette, you can do some all-out crazy brightness! But when you're adding pops of color, I like not making them all the same volume- if that makes sense. The inner yellow/green really captures your attention first... then your eye goes to the outer green, and finally the subtle blue fade. It's varying levels of color that surround the matte black core of the look. I like playing with the palette in this way! Does anyone watch New York Med? I believe it airs on ABC. Tyler and I had a couple episodes on DVR and watched them last night. I LOVE it! Talk about true reality TV. Nothing clears my mind like a nice long swim. Such a nice re-charge for mind & body. I have a new video on my main channel coming this afternoon + a new express review! I love this look! It's so pretty! Yes, this is super pretty. Other than Thrash, it's actually quite wearable! The yellow is less 'everyday makeup' friendly than the other colors, but other than that, it could be worn a lot of places! You're so creative with these colors!! Love this look! I've been struggling with whether or not I would grab the Electric Palette but yours and Kristen's looks have been motivating me to grab it so I can experiment with colors! Absolutely enjoying these looks and I looking forward to tomorrow's post! 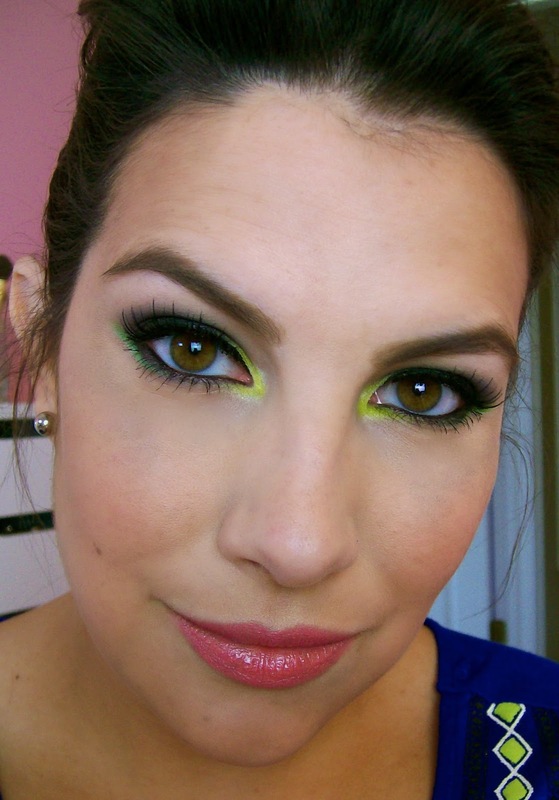 I absolutely love the green in the inner corner! It's such a great pop! I find it interesting that both you and Kristen chose to use thrash in your look today. Hubby says he likes this look best so far. He wants me to give it a try, guess I will be getting the Electric Pallet after all. I really love this look! I have been a long time follower of your blog/youtube channels and I have to say that this challenge is one of my most favorite features you have done. I have been really looking forward everyday to seeing what look you will come up with next. You should do this again with other palettes!!! love the lipstick in this look ! it's so fun to see you doing something different ! Wow! I am sure David is loving the looks you've been creating with this palette. I think you've already used all but TWO shades. You are rocking this challenge. I love the looks you are creating with this palette! 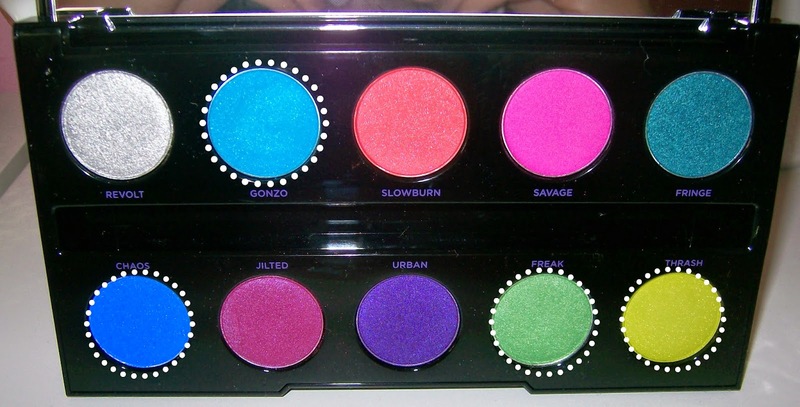 I think people see a palette like this and think that they need to put a bright colour all over their lid, but I love how you've just done a pop of colour. I love it so much!!! You're so beautiful. 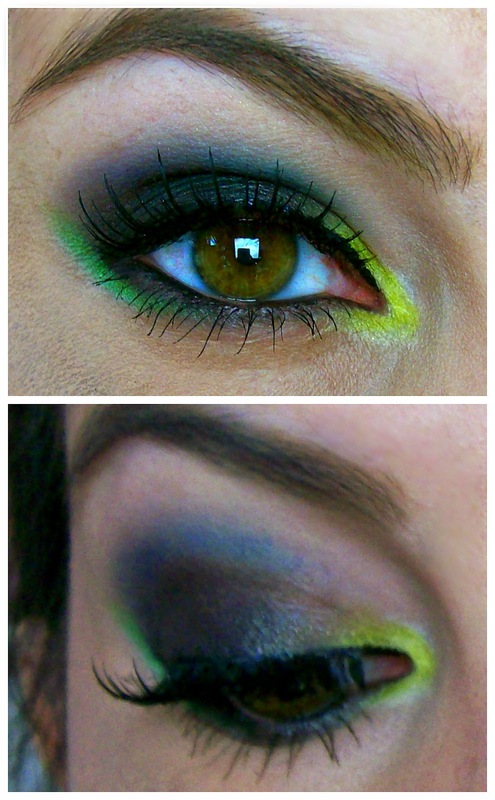 wow this looks amazing, i wish i could pull of such bright colours! you look lovely in them. ! Reminds me of a peacock!! This look is awesome! I love how you used Thrash and Freak. You are truly an artist!! This is my favorite look but they are ALL so gorgeous. Also, I am finally going to order the E36 brush from Sigma- you should get a royalty check or something because you are always demonstrating what a must have brush it is. You have been getting some interesting combinations with this palette but it's not one to use regularly. Would you please do this type of challenge with other (more tame) palettes--Lorac Pro 2, Naked 3, IT Cosmetics Matte?